Genie is the foremost trusted Supplier when it comes to Airport CCTV Video Surveillance Products. Genie is a British born company, with a global customer base and expert technical sales team who are here to provide solutions for your IP, AHD, HD-SDI, Thermal Imaging, Access Control, Biometric Access or bespoke projects. Successfully engaging with Rail, Haulage, Aviation and Sea Freight industries we are the premier choice for their security needs. With ISO9001 accreditation, we’ve been able to assure our customers delivery on time, an above-the-norm product quality & service, and fewer returned products & complaints. Beyond the products, we pride ourselves on being able to equip our customers with the most extensive live sales & aftercare service available. That means, unlike most manufacturers, we have dedicated sales and technical support teams with extensive first line and installation experience behind them. We provide design, development, manufacture & distribution of Airport CCTV Video Surveillance Products such as HD-SDI, NETWORK IP, ANALOGUE, ACCESS CONTROL & CCTV security solutions. Beyond the products, we pride ourselves on being able to equip our customers with the most extensive live sales & aftercare service available in the world. Going above and beyond, we are more than capable in assisting with system design through to product specification and on to site surveys; our team have done the jobs you do. Genie CCTV Ltd specialises in CCTV surveillance solutions to suit Airport applications. We manufacture and distribute IP cameras, NVR’s, Analogue HD, HD-SDI CCTV, Thermal Imaging cameras, RF video transmission and IP video Wireless Bridges in various form factors to meet all requirements. Offering all the technologies available on the market today, allows your Airport to be supplied with the additional CCTV system to match your existing technology. Should you wish to upgrade, add, improve to HD quality, Genie CCTV caters for your needs. Challenging weather conditions? Our Stainless Steel CCTV cameras are manufactured for harsh environment conditions, lending themselves to exposed rain falls and areas near to coastlines where saltwater intrusion is an everyday problem. Our cost effective Wish IP product line, offers 1.3MP, 2MP, 3MP, 4MP and 5MP with the latest compression algorithm within H.265 to accommodate large scale IP video surveillance systems as well as embracing the Video storage needed for HD video evidence needed for cctv image identification. Airport CCTV requirements can feature many different applications and needs from Airport to Airport. With Genie CCTV we not only hold the largest range of technologies of surveillance camera types but also have the facility to bespoke cameras to the end users needs. Genie CCTV have on many occasions worked with end users to taylor make cameras, to achieve the aesthetics, meet the technical specifications & performance that Airports have special requirements for. Airport Surveillance CCTV in Aviation environments. Combat Terrorism – Airports are a major target for terrorist activity, it is vital that airports have to hand, the highest level of security and video surveillance that play a key role in tackling the increasing threat of Terrorism. Real Time Surveillance across multiple department – Our surveillance systems allow multiple departments such as police, customs, security, baggage control and airport operations to remotely monitor surveillance video over IP from different workstations. HD-SDI CCTV offers real time uncompressed Full HD quality from Camera to Monitoring station, with the most realistic Full HD images to date. Prosecutions – Tracking – historical evidence – Behaviour patterns CCTV evidence can be vital when it comes to prosecution of offenders. Having recorded digital evidence makes it much easier to identify and initiate legal procedures against offenders. CCTV monitoring takes the initiative in CCTV tracking of suspects, and potential threats. A major part of Airport CCTV requires the need to recognise the movement and pattern of Airport visitors within the Terminal, with CCTV and IP video in HD quality offering the best historical evidence for behaviour patterns. Video surveillance for Airport Environments. 2) IP Video Surveillance using Computer Network transmission to give video anywhere on the Network, with a variety of HD resolutions to suit needs. 3) AHD, Analogue HD is the next generation of products that replace old standard resolution. AHD uses the existing cable infrastructure to allow for low cost upgrades. 4) Stainless Steel and Marine grade. Many of our cameras are produced with Marine grade paint finish or in stainless steel metal to deal with harsh environments, exposed areas such as airports, and site conditions where harsh environments such as wind and rain degrade cameras to short life spans. 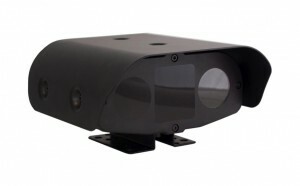 5) Thermal Imaging CCTV cameras offer visible surveillance in complete darkness. Thermal cameras offer large distance surveillance at night time where lighting on or around Air side grounds are limited or not available. 6) Wireless transmission, whether for analogue or IP video, in certain applications a cable infrastructure is not available and requires a Wireless CCTV solution. 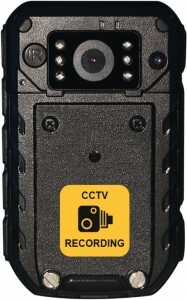 The Genie Body Worn Camera is a professional user friendly full HD 1080p Video and Audio camera. The compact lightweight unit combines built-in GPS, Wi-Fi and 3G for live tracking and video transmission. Designed specifically to meet military, security, police and rescue application requirements, this feature rich solution is compact and rugged. The camera enclosure uses a high-impact IP rated material to survive in the demanding conditions whilst out in the field. The 2” built-in display screen supports instant high quality Audio and Video playback allowing personnel to review evidence material on-site without having to return to base and plug it into a download and recharge station. What can the Genie Body Worn Camera do the Airport Industry? 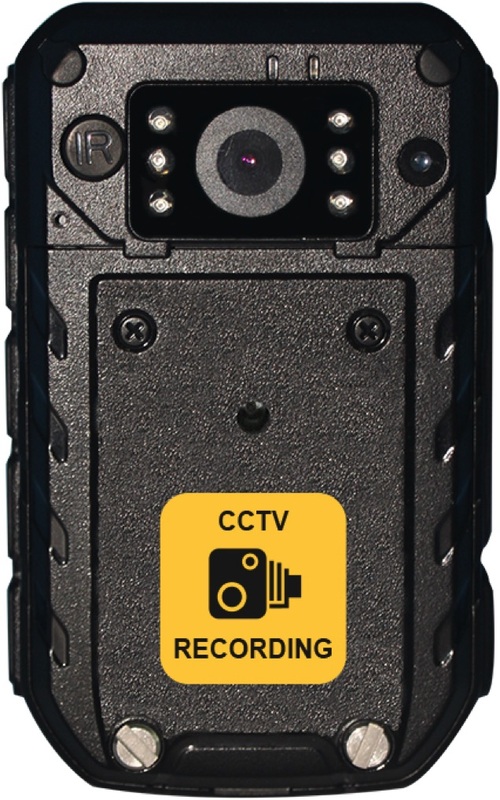 Frontline Personnel Protection – Using visible body worn cameras has been proven to reduce response personnel from being assaulted or receiving aggressive behaviour as suspects realise they are being recorded. Decrease in complaints – The use of Body Worn cameras has neutralised the number of false complaints and accusations against response personnel to suspects. Reduces Liability – It encourages staff to practice the correct procedures and reduces liability from an organisation point of view. The SolarGuard Rapid Deployment is a mobile High Definition CCTV trailer designed for deployment where mains power or fixed hard-wired communications are not available. The system operates on both solar power (PV panels) and hydrogen generator making it the most cost-effective and environmentally friendly surveillance solution on the market. 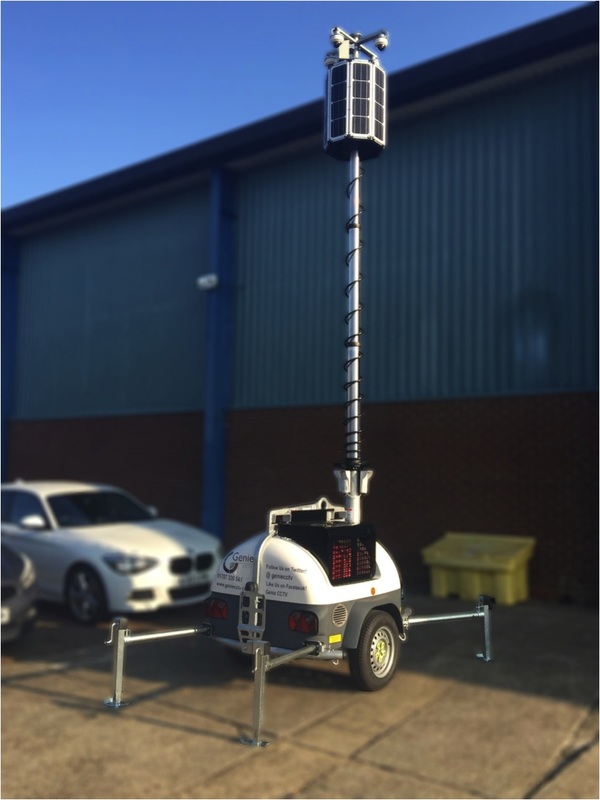 The system can accommodate a choice of HD IP cameras on a user-friendly hydraulic mast that can be extended up to 6 metres. 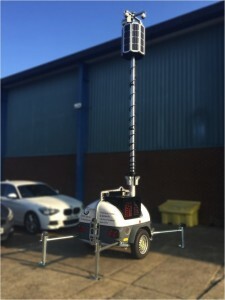 The trailer offers both local recording as well as 3G/4G remote access (optional), whereby control rooms can remotely access footage from miles away if a movement alarm is triggered. What can the Genie SolarGuard Rapid Deployment do the Airport Industry? No Fossil fuel cost, saving you huge amount in operation costs. Automatic alarm notification to monitoring station when an alarm is triggered. Live remote monitoring allows you to see your site any time you choose either in real time on the built in NVR or over a 3G/4G connection. Video recording allows you to review and replay past events on our HD megapixel cameras and recorder. The Genie Automatic Number Plate Recognition (ANPR) system or also know as Licence Number Plate Recognition (LPR) is designed to make site security, access management, car park management and site visitor management simple. What can Genie’s Automatic Number Plate Recognition (ANPR) hardware and software do for the Airport Industry? Detects and recognises vehicle license plate.